Click "Add to cart" to select the options. "This pendant is crafted from the bedrock of Sunapee, New Hampshire. 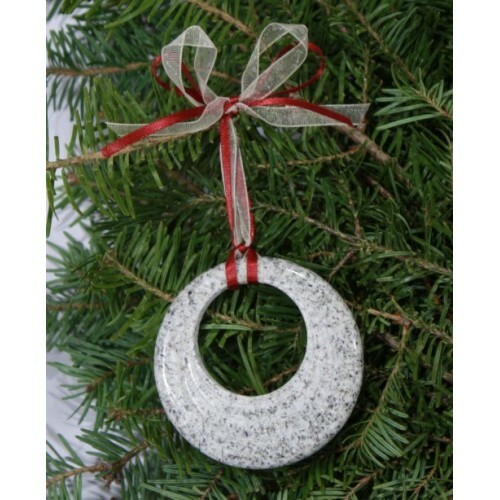 It is designed and carved by the artisans of Sunapee Graniteworks. It was created to share the message of hope, courage and optimism." 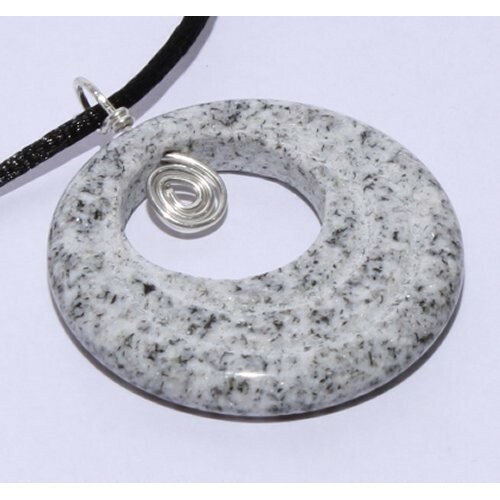 New Hampshire is the "Granite State" and this pendant has the classic look of granite, highly polished and then carved, with a beautiful sterling silver swirl in the center. This pendant hangs delicately on a silk cord with a lobster clasp. This necklace arrives in a gift box with the above message included. Approximately 2 inches in diameter.